Let customers know it is ok to come in. 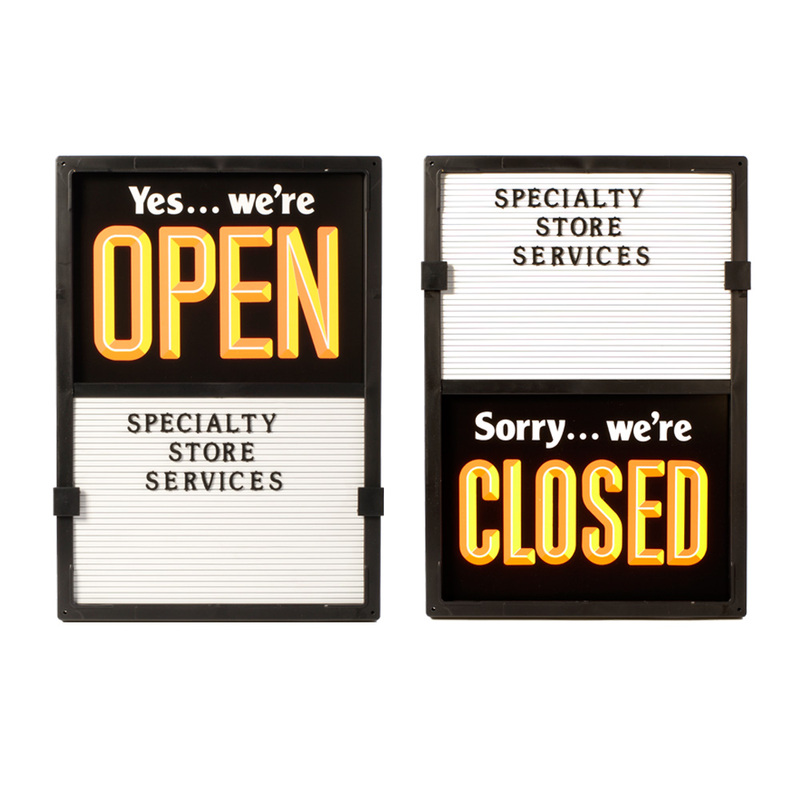 Open Closed Sign features a changeable message board designed for store hours or special messages. Unique board slides vertically to show either OPEN or CLOSED. Attaches to window with four suction cups (included) and operates without removal from glass. Includes 420 changeable letters and numbers.